"Hold That Thought" -- In our third spiritual principle, the Law of Mind Action teaches us that we create our experiences by the activity of our thinking. We say, "Thoughts held in mind produce after their kind" which is another way of saying, "What we focus on expands in our lives." This is an essential law by which the entire universe operates! Join Rev. 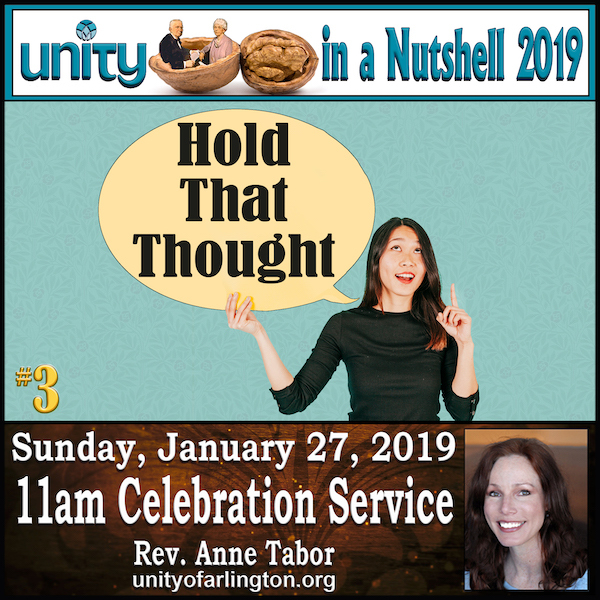 Anne for part three of her Sunday Message Series, "Unity in a Nutshell 2019," and find out how your creative power of thought weaves together the tapestry of your life.